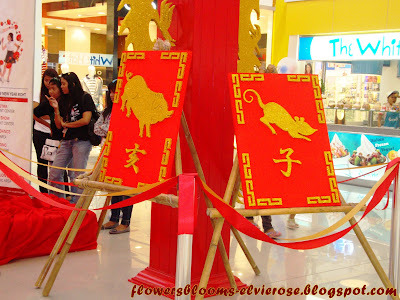 Chinese New Year is celebrated in countries and territories with significant Chinese populations, such as Mainland China, Hong Kong,Indonesia, Macau, Malaysia, Philippines, Singapore, Taiwan, Thailand, and also in Chinatowns elsewhere. In anticipation of the celebration of the Chinese New Year, most of the malls in the Philippines put up Chinese inspired festive decorations. If you observe the decorations, the prominent color is RED. From among a world of colors, red stands out the most. The color red is fresh and pure, and in China it is called China Red. Chinese people are fascinated by the color red not only because of its intoxicating vibrancy, but also because of its rich meaning in Chinese culture and history. Red is the color of the auspicious, signifying reunion, health, happiness, harmony, peace and prosperity. 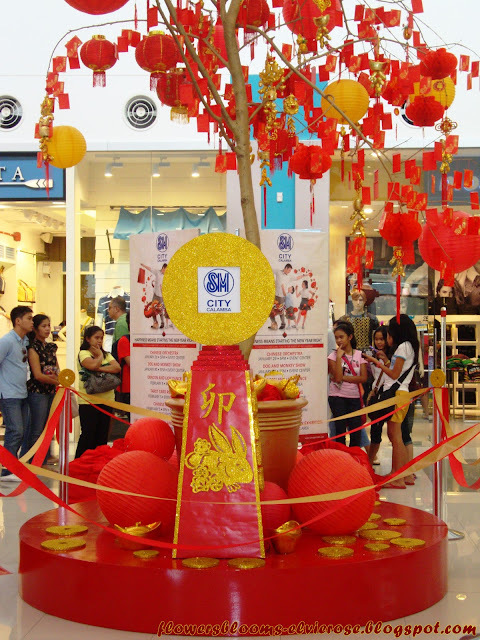 Beautiful Chinese red lanterns and other good luck accessories hanging on the wishing tree. The Red Lantern (Hong Denglong), a special handicraft of Chinese tradition is closely linked with the lives of Chinese people, as you can find it everywhere, especially during festivals, holidays and other celebrations. Hanging on the front gate of houses and stores, red lanterns decorate the street in a unique way. Lanterns in China are more than lighting devices and red lanterns are regarded as a basic symbol of the Chinese culture, a symbol of brightness, happiness and reunion. You see a red lantern and your mind thinks of China. 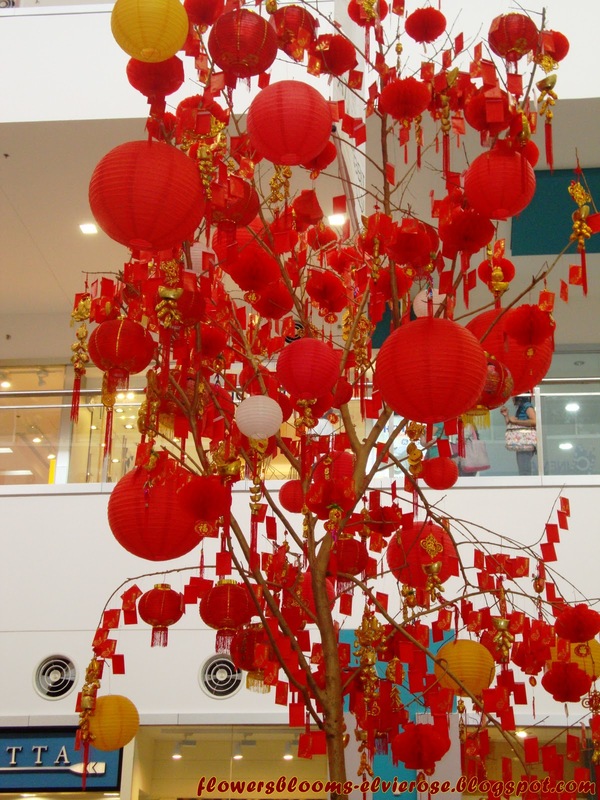 Supposed to warn away evil sprits while brightening the mood with the red glow of good luck, red lanterns are considered a necessity of traditional Chinese festivals. In Lantern Festival(the fifteenth day of the first Chinese lunar month), the preferred warm red of traditional lanterns creates a convivial atmosphere at the family reunion as well as lights up the hope for the New Year. Lanterns, especially the red-colored, deserve adoration for the magical element they add to the atmosphere. 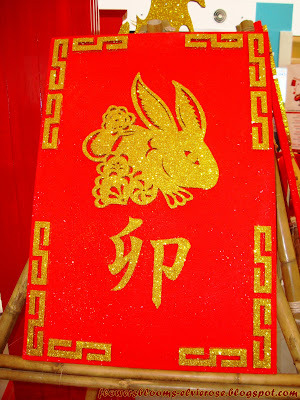 The Chinese Zodiac Signs are like the Western Horoscope Signs in that there are twelve of them. Chinese Astrology Signs are based on the year that you were born rather than the day of your birth. 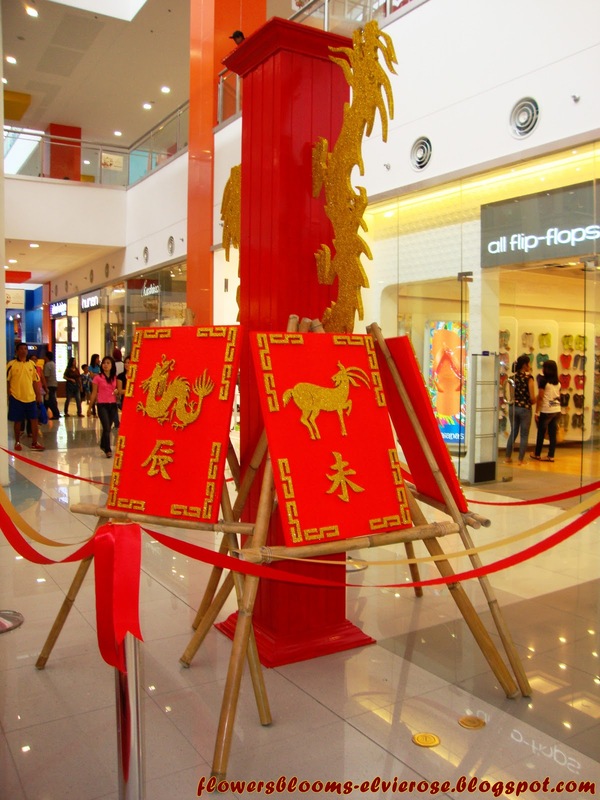 Each of the twelve Chinese Zodiac Signs is represented by a particular animal. The Chinese Zodiac Signs are: Rat, Ox, Tiger, Rabbit, Dragon, Snake, Horse, Lamb, Monkey, Rooster, Dog, Pig. The animal ruling the year of your birth exercises a profound influence on your life. It is thought that each Chinese Astrology Sign embodies its Animal's characteristics, as seen by Eastern eyes, in the people born that year.